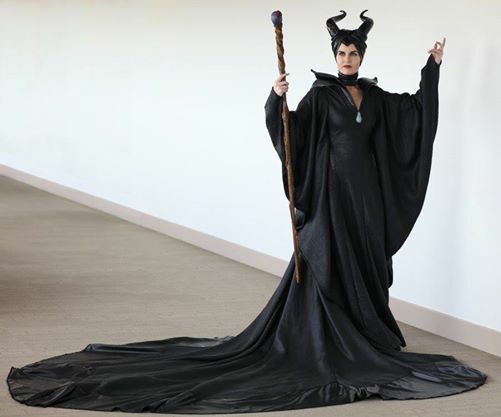 Evil Looking Maleficent Costume « Adafruit Industries – Makers, hackers, artists, designers and engineers! Replica Props Forum user mdb fell head over heels for the live-action Maleficent costume. She started working on the ensemble before the movie was released and diligently gathered every reference image possible from the trailers. 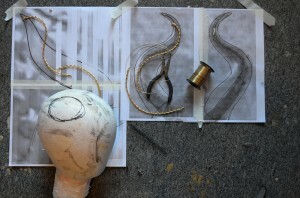 She documented some of the process of making the horns on YouTube and attached them to a frame that goes under a wig cap. 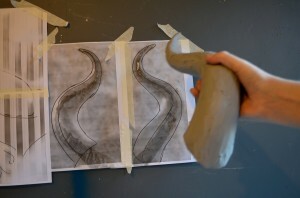 Like Angelina Jolie in the movie, the biggest parts of the horns are attached with magnets. She ended up casting her face and ears in order to make cheekbone and ear tip prosthetics.